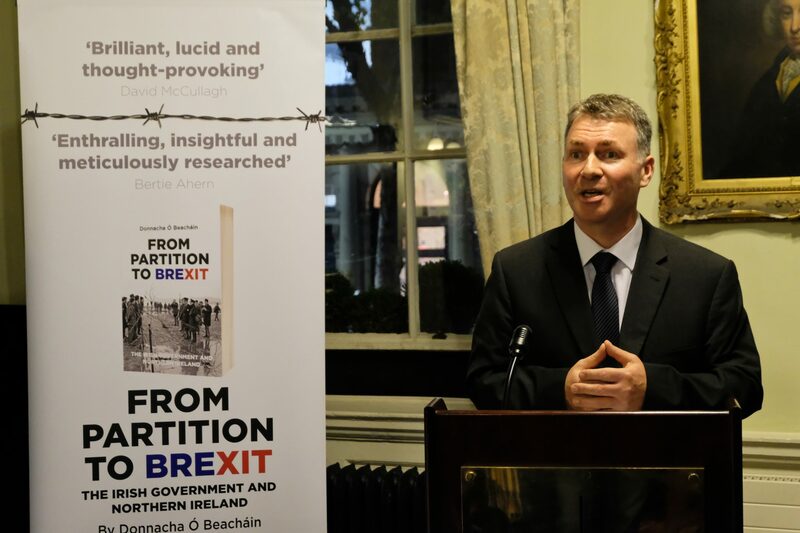 IICRR scholar Dr Donnacha Ó Beacháin launched his book From Partition to Brexit: The Irish Government and Northern Ireland at two events during November 2018. The first event took place at the Royal Irish Academy on Dawson Street, Dublin on Tuesday 13th November. 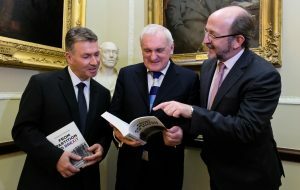 The launch was well attended with many elected representatives, diplomats and scholars of Irish history and politics in attendance. 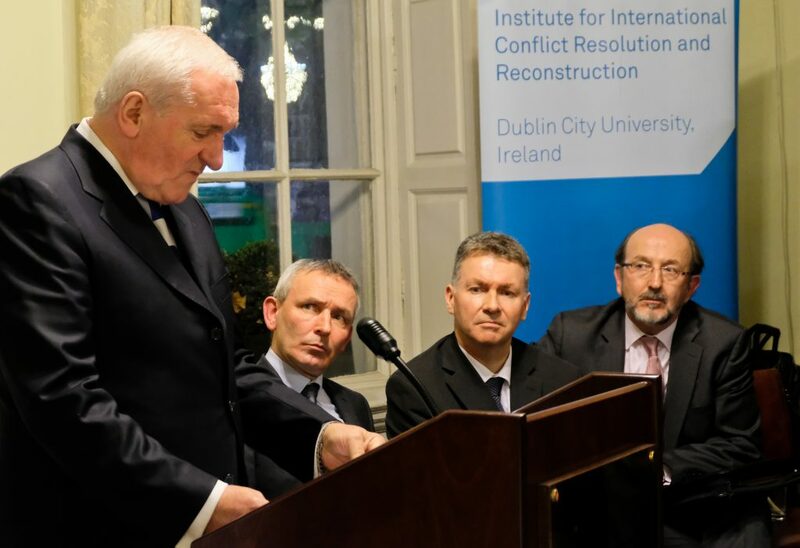 The event was compered by IICRR Director Prof John Doyle. Speaking on the evening, in addition to Dr Ó Beacháin, were DCU President Prof Brian MacCraith and former Taoiseach and key negotiator of the Good Friday Agreement Bertie Ahern. Bertie Ahern praised the depth of the research and analysis in this book. He remarked that it is a timely and informed contribution to the Brexit debate. The second event took place at Old Ground Hotel, Ennis, County Clare on Friday 16th November. Political Correspondent with RTÉ News David McCullagh spoke on the night. The launces were covered in the national media in The Irish Independent, The Irish Times, The Irish News, The Clare Echo and the Clare Champion. 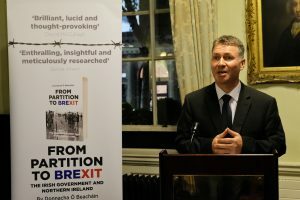 Dr Ó Beacháin also discussed From Partition to Brexit on the RTE Radio One Marian Finucane Programme.